The Pet Travel Scheme allows pet dogs, cats and ferrets to enter or re-enter the UK from any country in the world without quarantine, provided they meet the PETS rules. These rules are in place to keep the UK free from rabies and certain other diseases. The scheme is limited to certain routes of travel and there are different rules for EU countries, listed non-EU countries and unlisted non–EU countries. The Department for Environment, Food and Rural Affairs DEFRA have current information. You may need an Export Health Certificate to enter your destination country. Any such health certificates will be in addition to the PETS Passport. 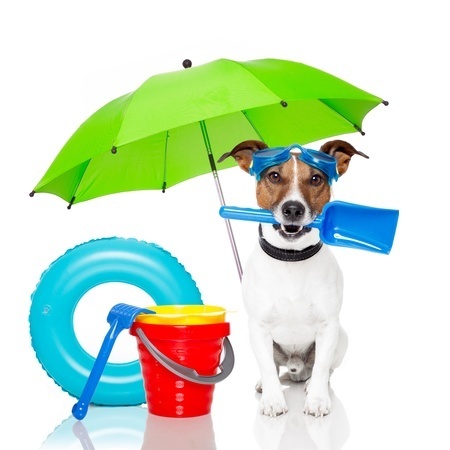 Travel to warmer climates could expose your pet to serious or even fatal diseases not present in the UK, for example, Heartworm, Leishmaniasis, Ehrlichiosis and Babesiosis. Protection against these is not a requirement of PETS but we advise you to take precautions to safeguard the health of your pet abroad. Please ask advice from one of our veterinary surgeons and for a copy of our leaflet ‘Travelling Abroad With Your Dog’.